A while ago I had chased FrontVM to moretom.net and found 2 links. One from 2003 which is a dead link, and the 2004 version which was archived by the wayback machine! It was an interesting build, as it still used 68000 emulation from Hatari/UAE this pre-dates the 68000 to C or i386 ASM. However since it ran (mostly) the original code, it was more ‘feature complete’, although loading save games is broken for some reason (I think the decryption was not disassembled correctly). It was actually a stupid file mode setting. I just updated the source & put out a new binary, testing save games between Linux &Windows. 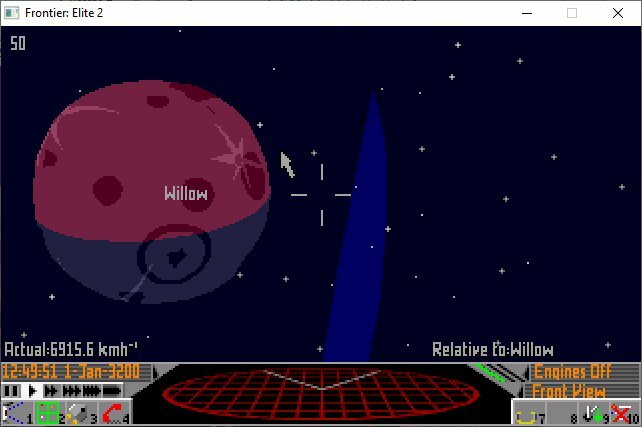 So yeah, it’s Frontier, for the AtariST with the OS & Hardware calls abstracted, still running the 68000 code under emulation. I think it’s an interesting thing, but that’s me. Oddly enough it’s already been downloaded, so go figure. 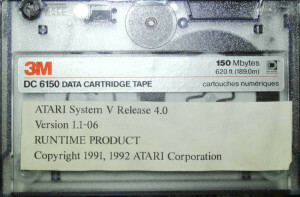 In previous posts from ASV series I have explained why I got hooked on Atari System V UNIX and what I had to do to get a decent resolution out of Atari TT. Having built the VGA monitor adapter, the next challenge was to replace the internal SCSI hard disk with a flash storage of some sort. I really don’t like spinning hard disks and especial the old ones. 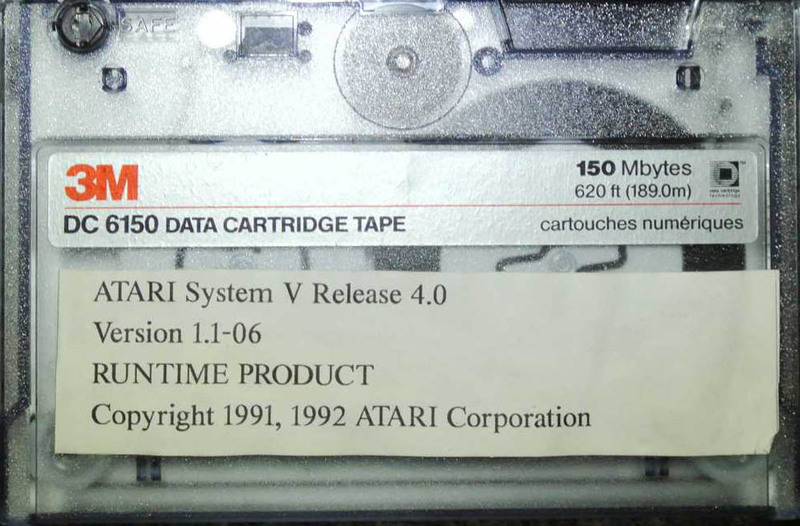 I have mentioned that there are two surviving ASV disk images. The better one was made out of a rather large old, loud and obnoxious Maxtor. 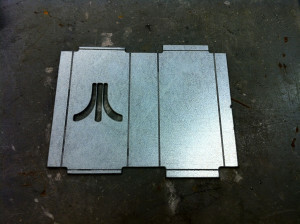 I’m definitely not having this monstrosity inside of my beloved Atari! 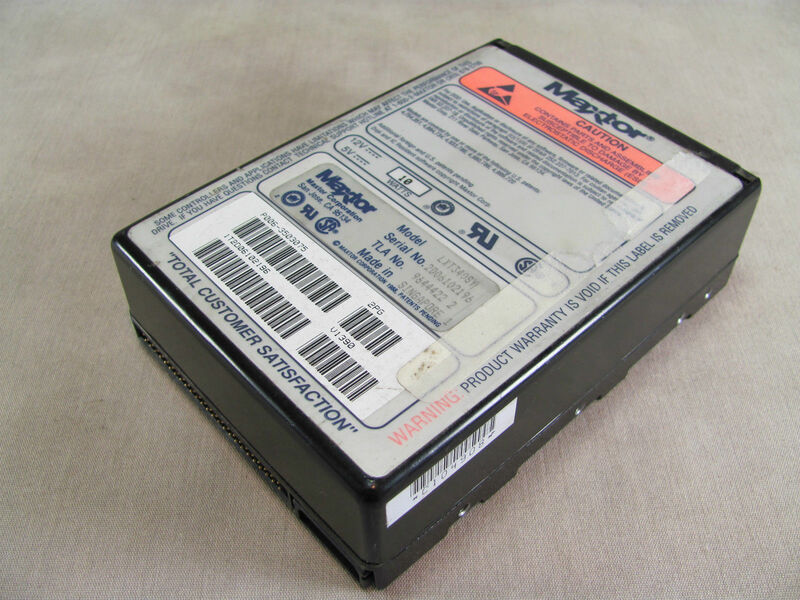 So how can you replace an old SCSI hard disk with a modern flash device? There actually are several different ways. If you have the money you can go industrial route, which is a SCSI disk replacement for various machinery and embedded systems produced by ReactiveData. You can buy one of these for a little over $1000 USD. The good part is that they substitute a specific real hard disk model and are exceptionally good in quality of emulation. However, spending a lot of money on my TT and TenoxVGA already, this really wasn’t an option without getting a divorce. 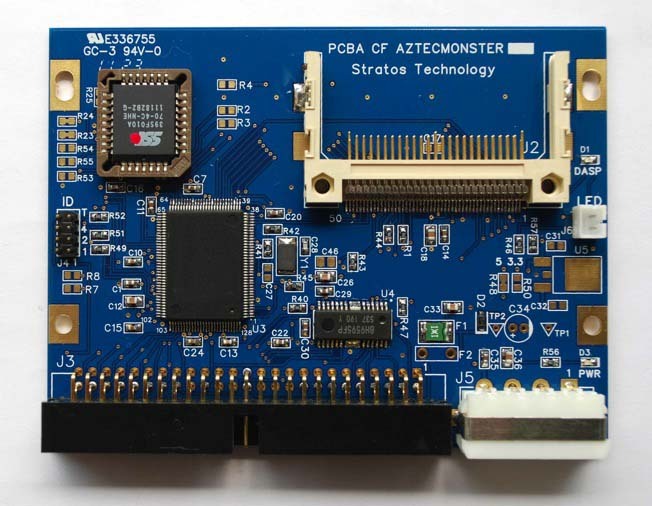 Another approach is to use SCSI to IDE bridge combined with IDE to CF adapter or possibly SCSI to SATA bridge and SATA SSD disk. These are widely used by Atari / Amiga / Mac 68k community. The most popular bridge come from a company called Acard. 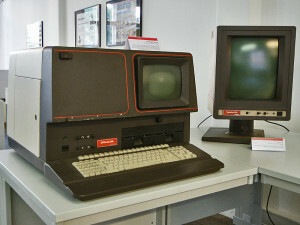 I actually had one of these at hand, AEC-7220U which I used for TOS/GEM work. Did it work? As you can guess – of course it didn’t! The initial boot loader errors out unable to read disk capacity. 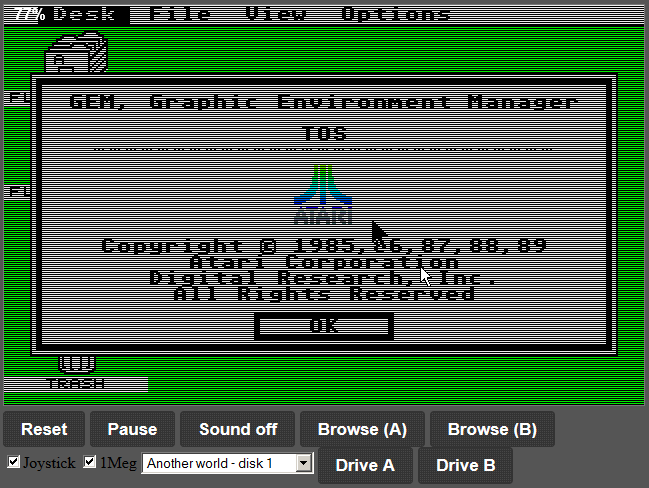 Atari ST/TT, somewhat similarly to 68k Macs require a hard disk driver, present on the hard disk itself. There are several 3rd party implementations, some of them, like HDDRIVER maintained up to present date. Unfortunately these drivers are TOS specific and obviously don’t work with Atari Unix. The system comes with it’s own hard disk driver which seems to be obsolete and with limited hardware support. The next step was to research and try out some other SCSI to IDE bridges in hope one would just work. And surprisingly there are several to choose from. The second on the line was I-O Data R-IDSC21-E/R. No longer produced and supported, however still fairly popular. Usually regarded as the ultimate bridge with most fancy options bells and whistles. It has most jumpers and modes of all tested devices. For instance ATA PIO and DMA modes.  Unfortunately this didn’t help at all and same error was observed. 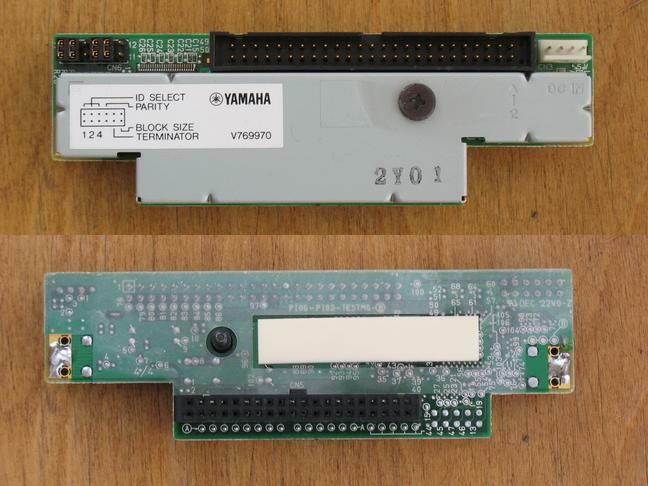 Another device tried was Yamaha v769970. 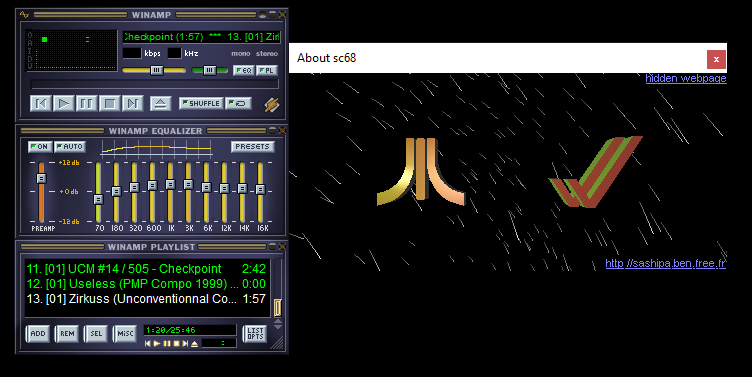 This bridge was conceived to allow use IDE CDROM and Hard Disks with Yamaha samplers. No longer produced and obsolete, it’s somewhat most easy to set up, robust and stable. It’s actually my favorite bridge for day to day use, except for ASV where it just doesn’t work. 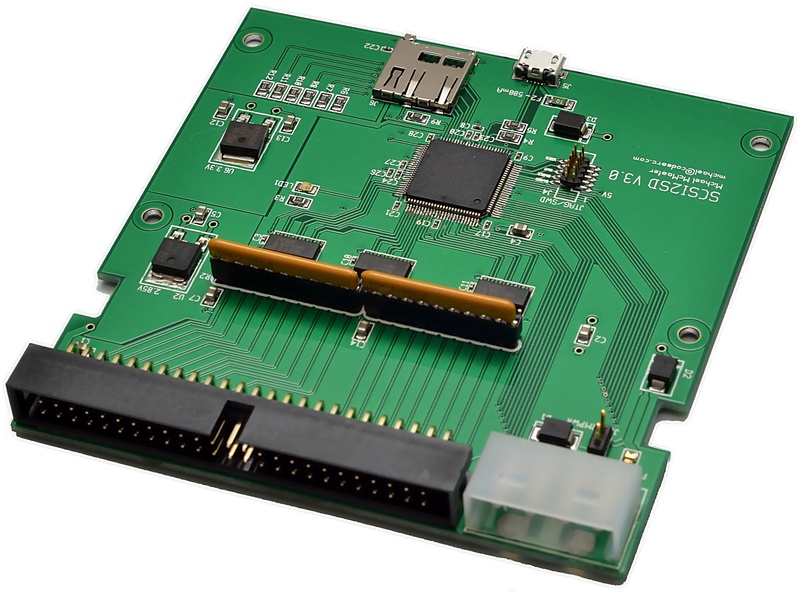 I also looked in to SCSI to SATA bridges, like this one, but they have additional issues, like need to convert LVD to SE on one end and SATA to IDE to CF on the other. Little bit too complex for what I wanted. Being out of luck I started researching if it would be possible to build an open source version, which can be easily diagnosed and fixed. 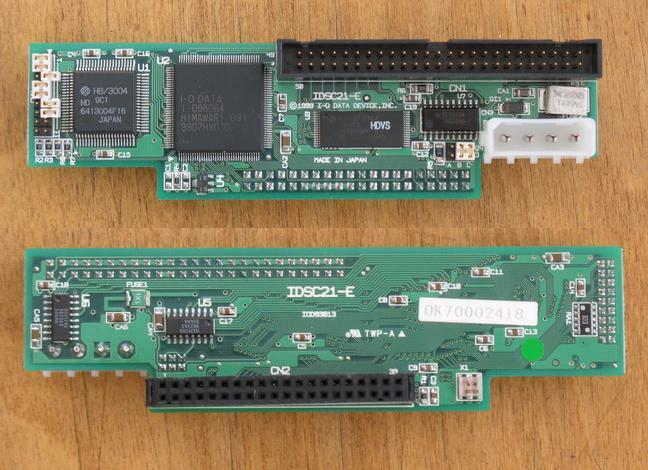 Doing so I found out that there in fact is one open source SCSI adapter called SCSI2SD. I was bit skeptical in the beginning but then I though that being open source it can be debugged and fixed if it needs to be. So I immediately ordered one. Once it arrived, I plugged it in, applied the image to the card and BAM! It worked! The system booted fully and worked flawlessly! 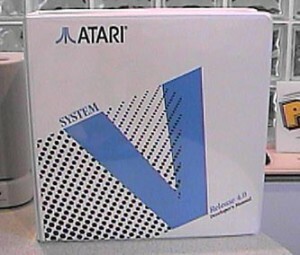 Atari Unix System V – Boot Sequence from Antoni Sawicki on Vimeo. In the next article I will write about my first steps in the system post boot and then bringing it to a more or less usable state. Stay tuned! In the previous article I explained how I got hooked up on Atari UNIX and brief efforts in the hardware department. TL;DR I got stuck on lack of a specialized Atari “high resolution” 1280×960 CRT monitor, which operates using ECL rather than VGA signaling. So what is ECL signal? Without going to too much in to the details ECL is a differential signal much like LVD SCSI. These are basically more interference resistant and therefore allow higher bandwidths. 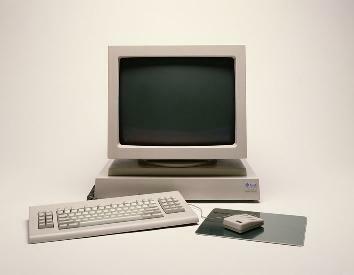 ECL signaling was used for high resolution monochrome monitors for Sun, SGI, DEC, HP, NeXT, etc. 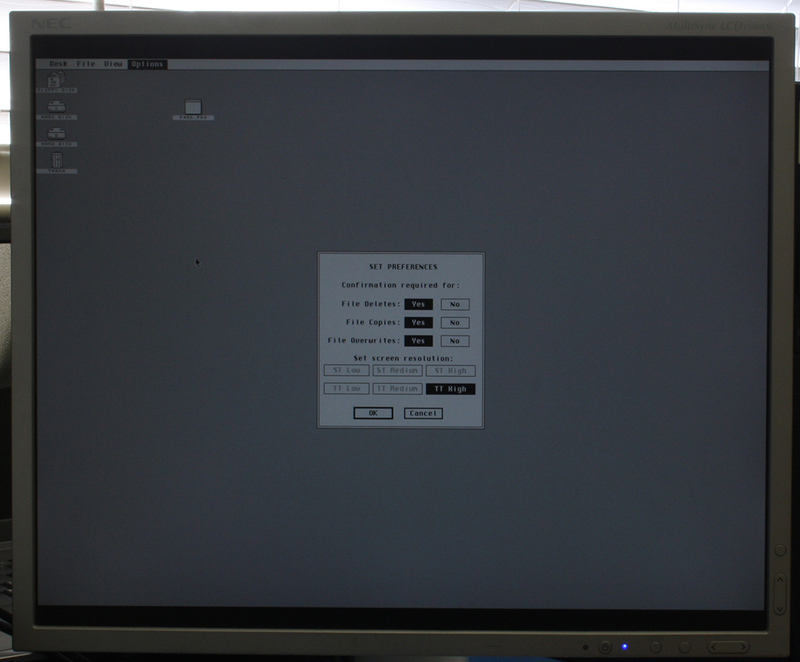 before VGA got it’s high resolution modes via VESA extensions. 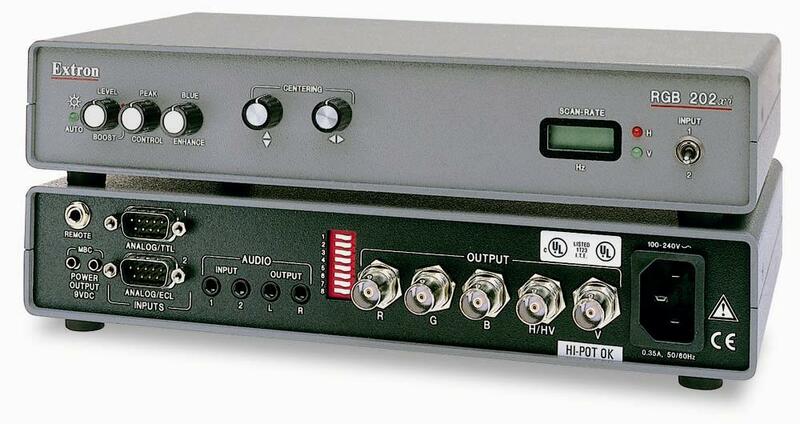 During the research phase I came across a device made by Extron, which basically converts ECL to VGA signal. These were made to allow SUN/SGI/HP/NeXT workstations to be hooked up to a VGA projector. Despite hours spent attempting to get these working by myself and other Atari users alike, this just didn’t work. 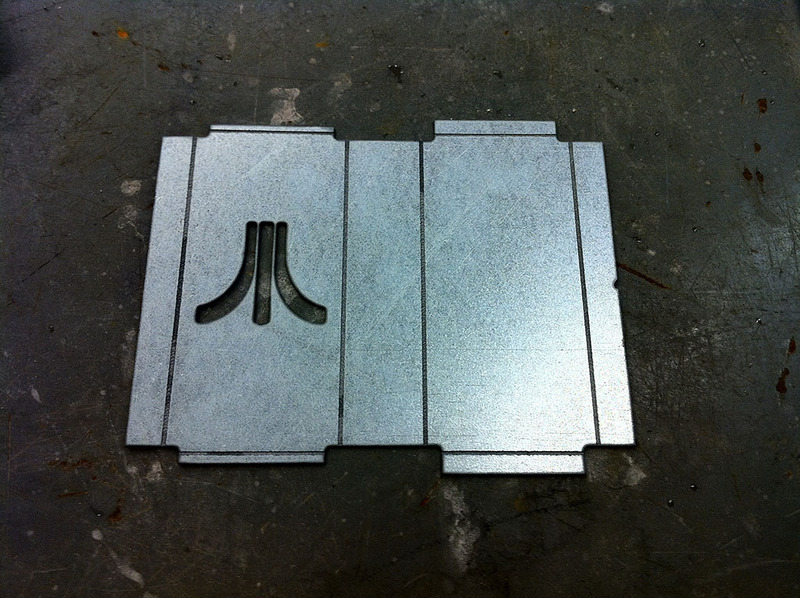 At this time the only viable approach would be to make such adapter from scratch and specifically for the Atari TT. I have rather limited experience in electronic circuit design. I was not the first to come up with such an idea. Over last 20 years or so adapters like that were made and tried before by much more experienced people, but still with rather crappy results. It was obvious I needed a professional help. Fortunately for last several years I have been living in the Silicon Valley, which is abundant with required skills. 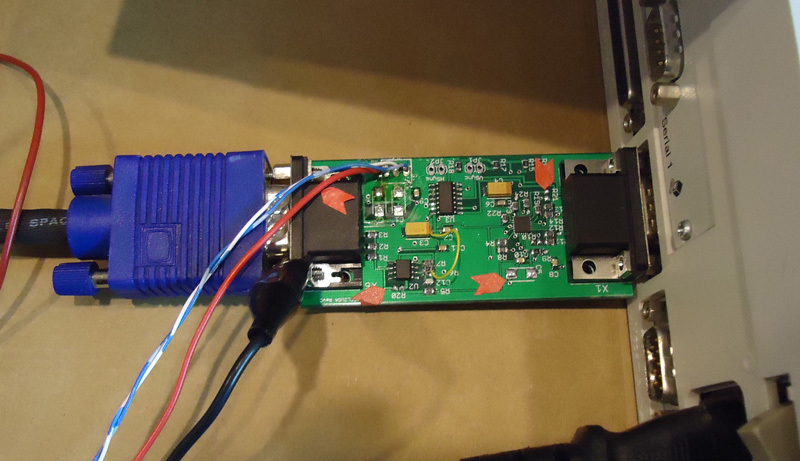 The signal was shifted a little bit, and the board was operating from a lab bench power supply. Not a big deal. After a few days they have added a small bread board with a circuit to shift the horizontal sync and a voltage converter to obtain -5V needed for ECL components. Everything was just perfect. It did have 1:1 mode as well as custom aspect ratios and most advanced display settings known to an LCD panel. Worked like a dream. The screen was 100% perfectly sharp like you were looking on Atari ST emulator on a PC or Mac. The black bars on top and bottom are the lacking 64 pixels, but they are almost not noticeable. Fortunately the NEC monitor goes for $50 USD on eBay and matches Atari TT in case color. It’s a perfect TTM 19x replacement. Most users who bough the adapter would also invest $50 and get the same monitor to avoid anti aliasing and have a perfect image display. I also became an instant fan of NEC 1990 and now see it as THE LCD panel for all my retro computing activities. Back to Atari, one problem solved, I was hit with another disaster. 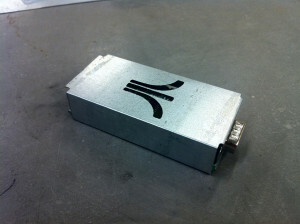 The finally assembled converter units were producing rather crappy picture. The picture was oscillating and there were a lot of nasty artifacts and imperfections on the screen. 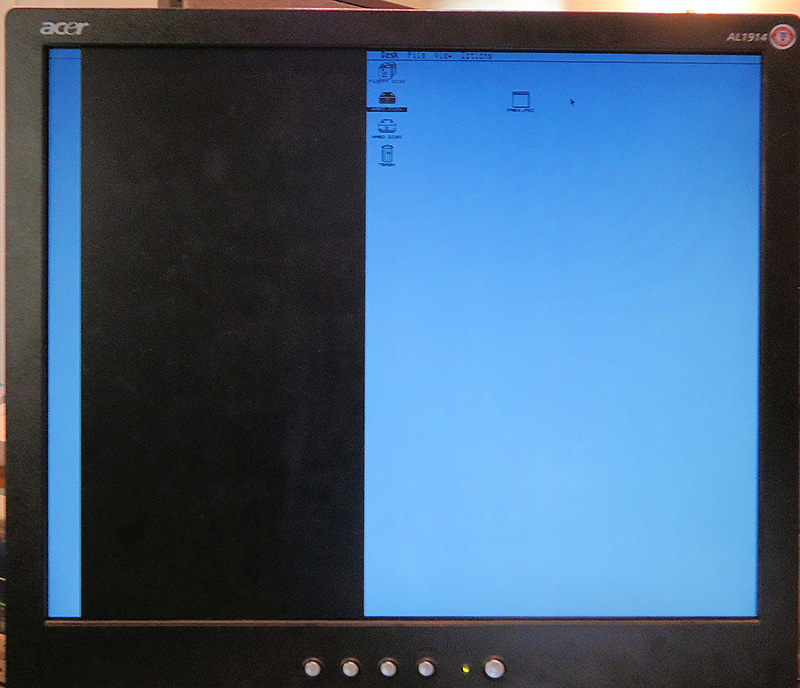 The NEC LCD panel couldn’t even auto adjusting to the signal. Long story short, once components from the bread board were incorporated on to a much smaller PCB they started interfering with now un-differentiated and unshielded video signal. Also some of the ICs were overheating and changing properties after a while. The investigation and problem solving went over budget rather quickly. The company stopped charging me at some point and worked in spare time to solve the problem. Unfortunately it took several months to finish. This is mainly because each try requires a new PCB reprint, at low cost / priority which is of course made in China. So about 1 month for 1 try just to see if it’s any better. From a time perspective now I can understand why all previous attempts to construct such a device failed miserably. It required a LOT of patience and professional expertise to finish it. Once I have received a shipment of 25 units and got appropriate power supplies and cables I have winged a website with paypal payment and started selling to the happy Cubase users. A long long ago, my father had a printing business. 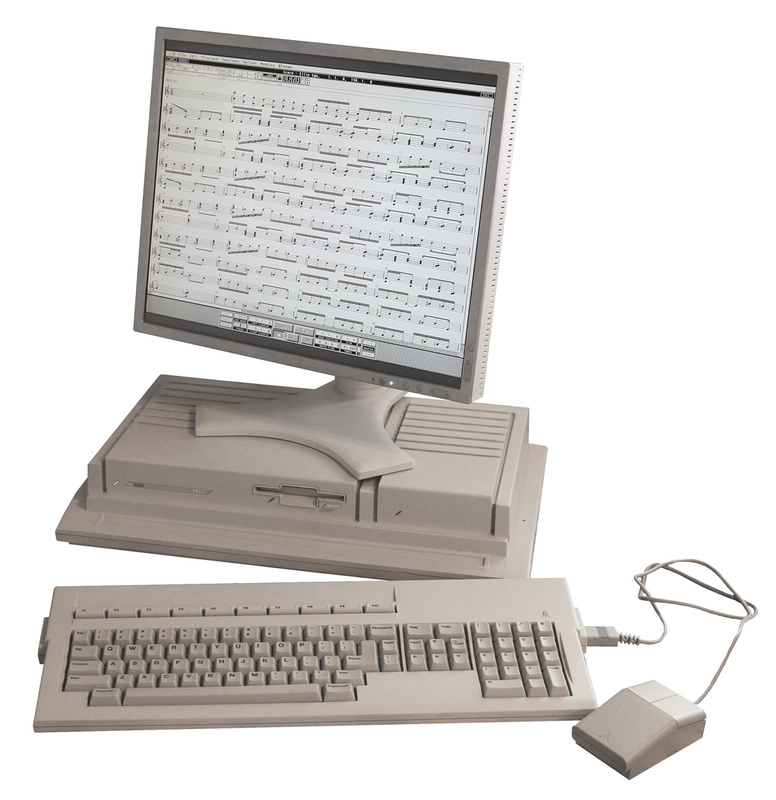 An emerging technology called Desktop Publishing (DTP) was just taking to the mainstream. 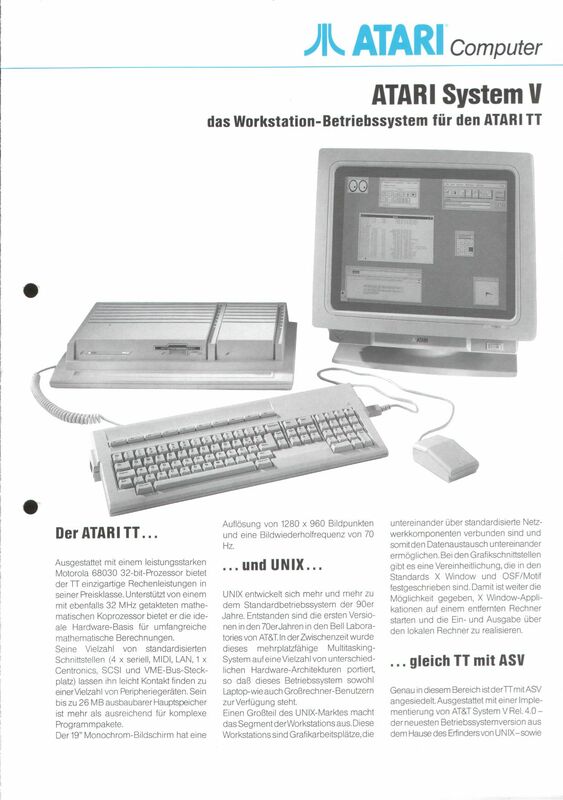 I have been involved in migration from Linotronic typesetting machines (see above) to more modern and GUI driven Atari TT with Calamus. Those were fun times. Long story short, I became an avid fan of Atari. 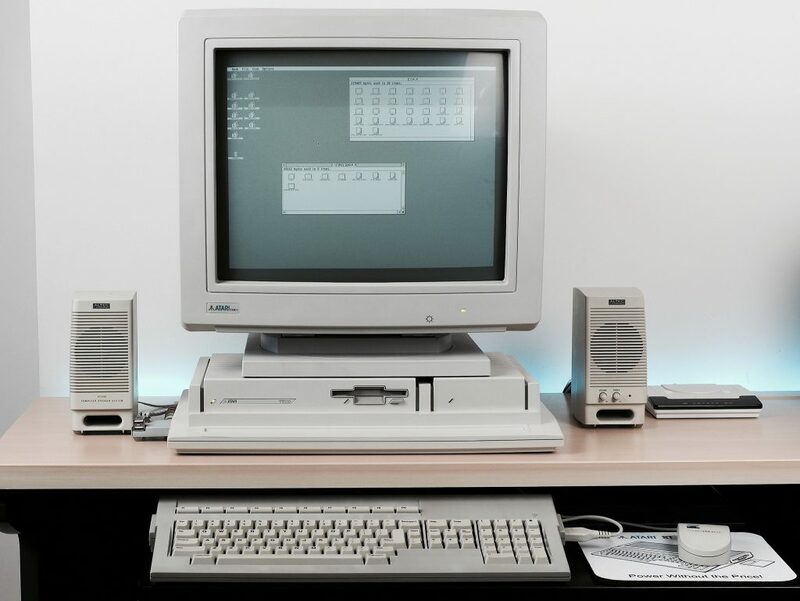 Unfortunately as time progressed, Ataris got in turn obsoleted by Macs with Quark Xpress and Photoshop. I myself started exploring world of Unix and ended up selling my Atari to be able to run Linux. 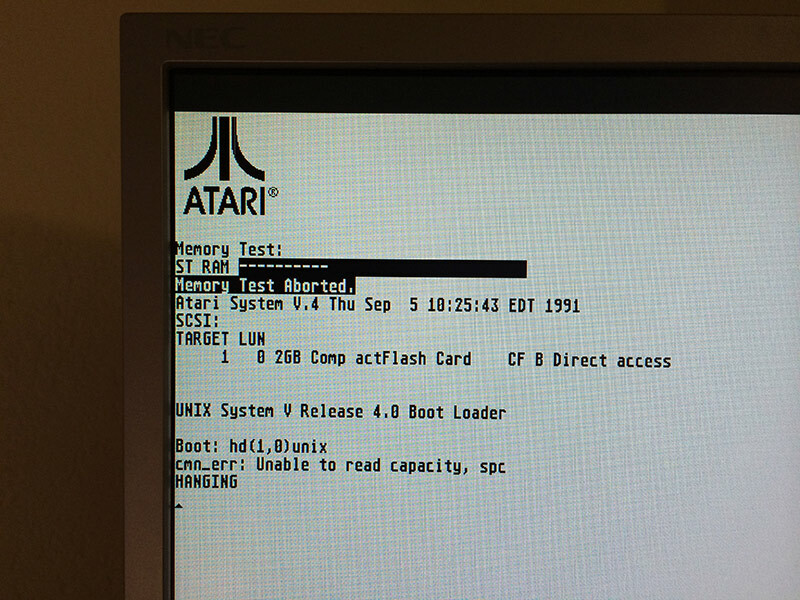 Bit of shame from time perspective as there were plenty of Unix flavors for the Atari: Minix, Linux, NetBSD and MiNT. Unfortunately they were released after I parted with the platform. Fast forward 20 years, Atari own UNIX version surfaced the earth. It was originally released in mid 1992 but died shortly after, no one ever heard about it. It has been lost to humanity. Only two good souls had working versions of the system and under pressure of the community finally made disk images of their installations. Some time after a documentation set has been found and digitized. Now I’m in process of trying to restore last existing set of damaged installation tapes. You can find little bit more history of the efforts on this thread. Out of nostalgia and the fact that Atari TT has been designed as a Unix Workstation, but never got a chance to play with it in this role, I decided to purchase one for myself. I have turned to Best Electronics who is a local Atari dealer around the corner. 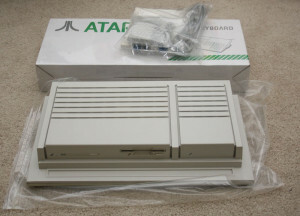 They sell Ataris like brand new, assembled from spare or reconditioned parts. I paid a small fortune for it, but I got myself a brand spanking new Atari TT, factory sealed and smelling like new after 20 years. It was fitted with latest motherboard revision, TOS, 1.44 MB FDD, 4 MB ST RAM and 16 MB TT RAM. I was told to just hook it up to a VGA monitor and viola, it will work. Which it did… except to my utter shock in a whopping resolution of 640×480. It looked absolutely horrible stretched on a 19″ LCD panel. I don’t have any pictures but it looked like this. For games maybe OK but not for Unix or any sensible applications. Using TTs professionally in DTP I certainly didn’t remember them suffering in the resolution department. So what was I doing wrong? Aha! In the old days we used to use special high resolution VME graphic cards. So I went to search for one on eBay and Atari Forums. These obviously proven to be impossible to find… obviously. Additionally I learned that Atari UNIX does not support any of these as they required special TOS/NVDI drivers. In order to run ASV X11 with a decent resolution, one needs a special high resolution monitor called either TTM 194 or 195. These were “professional” 19″ monitors specifically for DTP work. They worked with the built-in graphics card in a special black and white mode at 1280×960, which is actually decent even in modern standards. 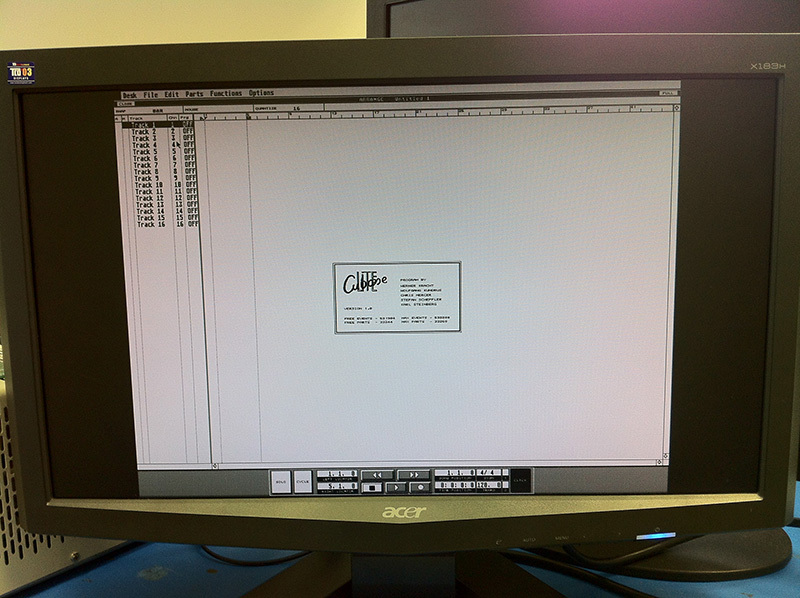 In a fact we did have these monitors at the printing shop. Unfortunately these are very old, bulky CRTs and weight 50 lbs. My wife would kill me if I brought one home and even if she didn’t I would hate having one of these on my desk. So why won’t the “TT High” mode work on a standard VGA LCD which normally supports 1280×1024? Well back in a day VGA standard didn’t support such resolutions and Atari had to make the monochrome monitors using ECL signal similar to old SUN/3 and HP monitors. Higher resolution modes were only added later by VESA BIOS extensions. 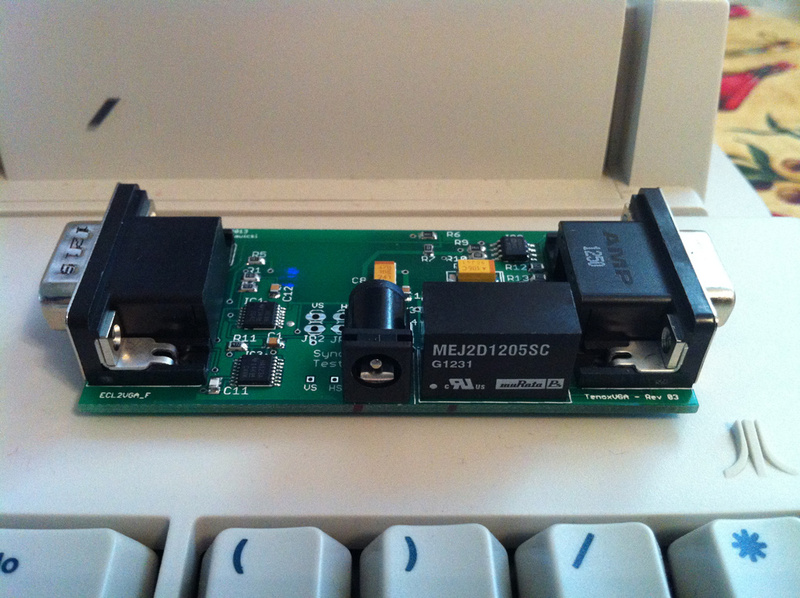 Researching the topic a lot of people were actually looking for an ECL to VGA signal converter but one did not exist. Some managed to use old EIZO CRTs with ECL support and with decent results, but still these are 50 lbs CRTs and I wanted to run ASV on a LCD panel. 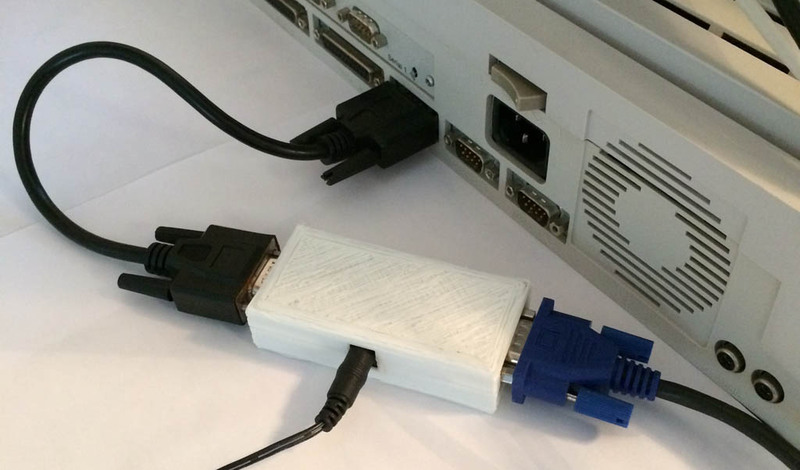 An adapter to convert ECL signal to a real VGA has actually been tried before but with rather awful results. Something had to be done! Well it was the weekend, and I was playing with FORTRAN (Language systems fotran to be exact, all 30lb of it!) and anyways to check to FPU & crash issues I though I’d check it out on an actual m68k Macintosh. 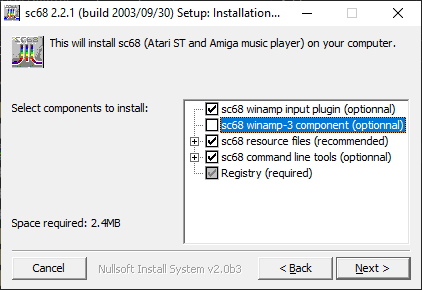 So as I was using Basilisk II for some stuff, I was wondering if anyone ever did upgrade the CPU emulation to 68040/mmu emulation. And it turns out that the Basilisk II emulation is taken from UAE, which in turn has been used in a few other emulators including aranym.Aranym is “Atari runs on any machine”, and what these guys have done, is fleshed out the UAE 68000 emulation enough to where it will run m68k linux! Both a windows version and the source can be found here. Next you’ll want some kind of root filesystem, I would recommend the ‘etch’ disk which can be downloaded here. Naturally, you’ll need a config, here is what I’m using..
I’ll have to play some with the networking to get it going, it seemed straight forward the FAQ here, however I had no luck. Anyways, it’s no A/UX, but it’s a *NIX like thing on the m68k. Now we just have to beg the Mac people to flesh out the hardware on their emulators to support Linux, OpenBSD, NetBSD & A/UX…. 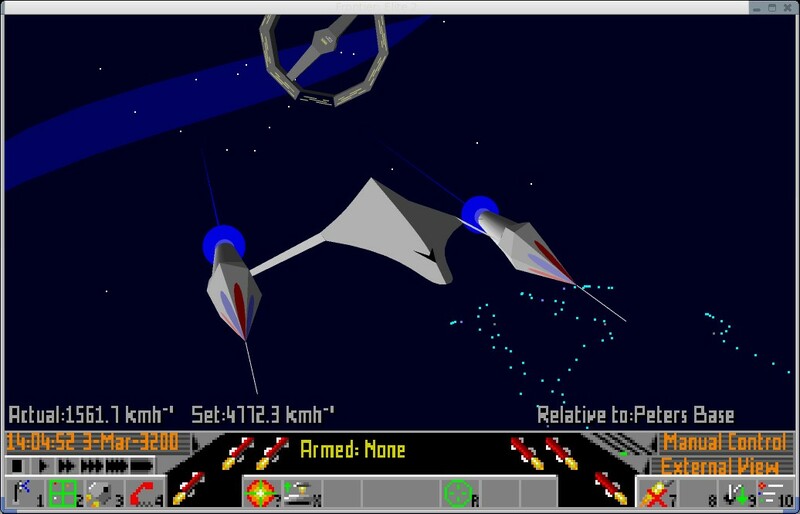 Author neozeedPosted on November 23, 2008 July 25, 2014 Categories 68000, 68040, Atari ST, Linux, m68k, mmu2 Comments on Aranym, Atari 68040/mmu emulator! 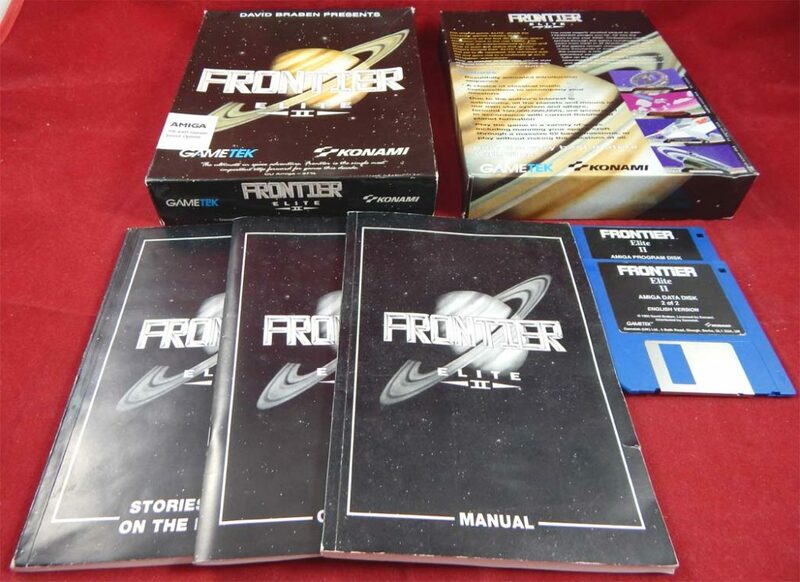 While on the topic of Frontier Elite this week, I was wondering if they by any chance ever released the source code… It appears not, however there were largely two versions the original being in 68000 assembly then a port to 80286 real mode ASM. 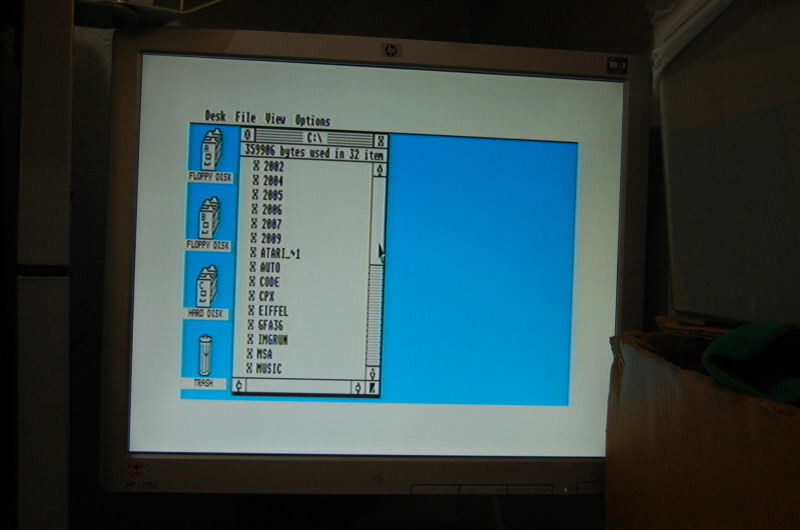 Tom Morton has taken the Atari ST version of Frontier, and removed the hardware access from the assembly, then tweaked a m68k assembler to either output in C or i386 asm… So he’s basically reversed a copy of Frontier to allow it to run natively! And he’s added OpenGL support to some degree! It’s VERY cool! At a minimum I bet there are people out there that would LOVE this guys programs to convert m68k assembly listings into either C or i386 asm. Or a chance to hack the ‘source’ like crazy. I’ve also come across this great site http://www.jongware.com/galaxy1.html which goes over various algorithms from the game.